Barbara Hunt has specialities in criminal trial and appellate work, and in commercial litigation and dispute resolution. She is a criminal legal aid provider to category 4, and is both civil and appellate provider, regularly appearing in trials in the District and High Court, and in appeals in the High Court, the Court of Appeal and the Supreme Court. Barbara Hunt appears in trials at all levels, murder, sexual offending, drugs charges and fraud, and in proceedings under the criminal proceeds recovery legislation. 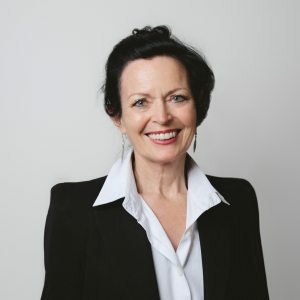 As a specialist dispute resolution lawyer, with experience and qualifications in all fields of dispute resolution, Barbara Hunt is regularly sought after with particular reference to arbitration, Construction Contracts Act adjudication and mediation. Having worked in Auckland law firms for 8 years in civil and commercial litigation and for NZI for two years as in-house counsel, Barbara Hunt developed a specialty in insurance law. In 1991 Barbara went to the independent bar, working in commercial litigation, arbitration and mediation, and maintaining a criminal practice. From 1995 to 2004 Barbara practised out of Bankside Chambers in Auckland. Barbara Hunt practices in both Auckland and Wellington and regularly appears in courts in other New Zealand towns and cities. Barbara Hunt is a member of the NZ Bar Association and the Wellington District Law Society. She is a member of the Northern Club in Auckland and the Wellington Club in Wellington. Barbara is a fellow of the Chartered Institute of Arbitrators (UK) and a fellow and former council member of the Arbitrators and Mediators of NZ Inc (both arbitration and mediation) and she is on the panel of arbitrators and adjudicators of the NZ Building Disputes Tribunal and the NZ Dispute Resolution Centre. Barbara Hunt believes that people charged with criminal offending need easy access to justice with representation at a high level of professionalism. She recognises the importance of early resolution of disputes, both civil and criminal, but without compromise on fundamental rights. She believes that highly professional practitioners can make a difference, particularly in criminal law where there might be liberty or life, or a family at risk. Barbara co-wrote an article published in the NZ Law Journal in 2016 about “Moral Involuntariness,” on the defence of compulsion under s 24 Crimes Act 1961, having appeared in 2013 in the related Supreme Court appeal. In 1993 Barbara co-wrote the Brookers publication Arbitration Law and Practice and she remains the sole update author of that text. She has regularly presented papers at seminars and conferences in the dispute resolution area, and she has taught Commercial Dispute Resolution and Arbitration in both Auckland Law School and Otago University, based in Auckland.